Army Secretary Mark Esper is looking to make talent management his top priority in 2019, he told Army Times on Thursday. 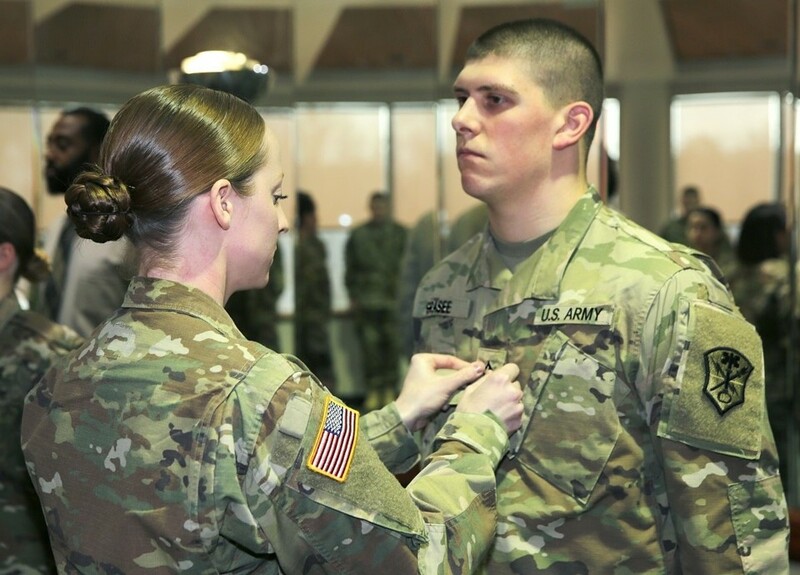 As Army readiness continues on a steady uptick, and the infrastructure for a modernization push is in place with Army Futures Command, the service’s top civilian is devoting more attention to a task force stood up specifically to help the Army through an overhaul of its promotions, assignments and other processes that affect soldiers’ careers. Over the past several years, the Army has been making overtures about the importance of talent management, of getting the best qualified and highest performing soldiers into the positions that best fit their skills and knowledge, rather than simply moving personnel around to fill openings based on who’s up for new orders first. The service took a step in that direction with beta testing of the Integrated Personnel and Pay System, which is underway with the Pennsylvania National Guard. “The system, as I envision it, is going to be a market-based system, where talent is managed at echelon,” he said. Maybe the top and bottom 10 percent to 15 percent of the ranks will be centrally managed according to the needs of the Army, he said. But that marketplace idea is available with officers already, to a certain extent, with the Assignment Interactive Module. Congress’ reshaping of the Defense Officer Personnel Management Act with the 2019 National Defense Authorization Act moved the needle yet again. “Some of their focus this past year has been in terms of making sure we take full advantage of the changes in law that the Congress gave us, in terms of officers,” Esper said. The change gives the services latitude to retain some highly specialized officers rather than force separations because they don’t promote “on time,” bring in civilian experts at ranks up to O-6, and disregard year groups in order to promote officers who are performing ahead of their peers. “I need to make sure we tell the force what to expect, what a successful career looks like, what are the ground rules,” Esper said. Esper met with the Talent Management Task Force recently, he said, and he set an April 1 deadline for a list of its goals and the plan to meet them, he said. The plan is to have an order out by the end of the year, he added, along with the beginnings of implementation. “If I can hit those marks, I’ll be very satisfied,” he said.